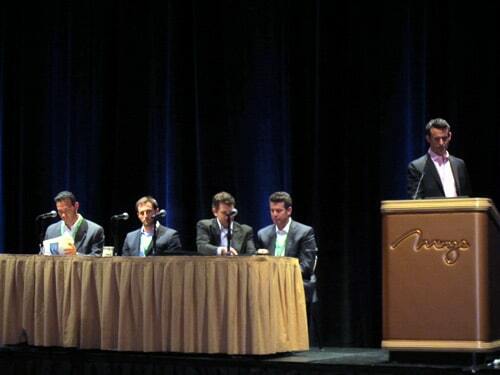 Leads360, a top lead management platform in the United States and a LeadPress partner, announced their 2nd annual top lead provider award winners recently at LeadsCon. 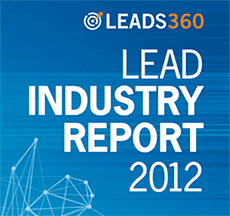 Since Leads360 has access to vast amounts of outcome data from thousands of lead sources and lead buyer across many verticals (they managed 22 million leads in 2011), there are many important insights they can share after analyzing this data. Many of these insights can be found in their annual lead industry report, which uses their extensive lead data to highlight past and future lead trends, providing insight into lead quality and conversion rates. 2nd Place for Qualification Rate: Percentage of leads that were contactable and that qualified for the Leads360 lead buyers’ products and/or services. 3rd Place for Conversion Rate: percentage of leads that generated revenue for Leads360 customers. Leads360 has over 1,100 lead source integrations in place as of today, of which almost 1,000 are with lead providers that are actively posting leads to Leads360 clients. We are confident that this largely covers the entire universe of lead providers in most major verticals. We also receive over 25 million leads per year. Therefore, it is a significant achievement to be one of the award recipients listed below. We would like to offer congratulations to all of the awardees.